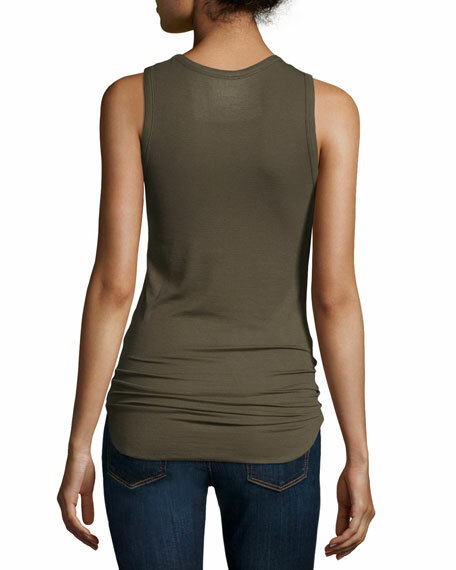 Majestic Paris for Neiman Marcus extra-fine, ribbed knit tank. Approx. length: 23"L from shoulder to hem, 28"L down center back. For in-store inquiries, use sku #1802697.